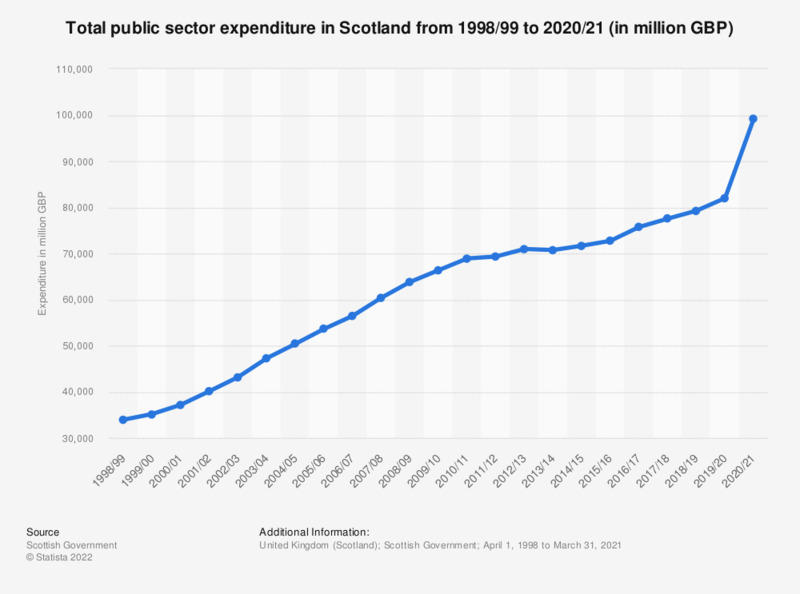 This statistic shows the total public sector expenditure in Scotland from 2010/11 to 2017/18. Government spending increased constantly until a decrease occurred from 2012/13 to 2013/14. In 2017/18, the total expenditure experienced an increase to 73 billion British pounds.